Please scroll down the page to see additional events/programs. want to improve their mentoring skills! 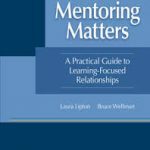 This professional learning opportunity, led by Lisa Danielson, a nationally known specialist in school mentoring along with mentors from CalStateTEACH, will help you develop skills to support teachers. workshop is open to all private school leaders. This federally funded workshop is provided at no cost for private school teachers and administrators through the utilization of Every Student Succeeds Act Title II, Part A funding. effective support for your colleagues. Click on the icon (above) to visit the CaPSPDNOW homepage. 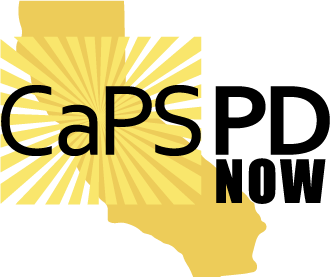 A CaPSPD two-day, grade level workshop provided at no cost for private school teachers, presented by the California Department of Education. Students often struggle with reading informational text. This type of text can be especially difficult to comprehend for beginning readers and English learners who may be unfamiliar with the text structure and academic vocabulary, among other challenges. However, with the adoption of the California state standards and the emphasis on a curriculum that requires all students to read and write more informational text, there is a need to scaffold classroom instruction. Dr. Rebecca Chirchick is a statewide featured speaker to private school audiences in the areas of literacy and differentiated instruction. She incorporates practical illustrations from her experiences as a classroom teacher, literary coach, and staff developer. Christine Lam is experienced in providing differentiated instruction to high-achieving students in multi-cultural settings. 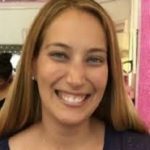 With experience as both a math and science instructional coach, she enjoys presenting to private school audiences and passing along her years of experience. Daily Schedule: 8:45 a.m. – 3:30 p.m. Parking: Free, on-site parking is available. Carpooling is encouraged.